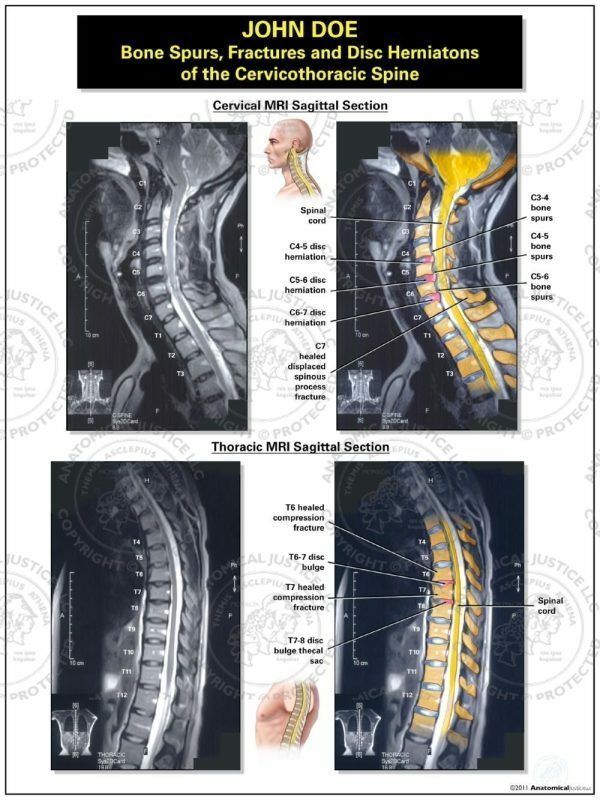 This exhibit features two sagittal MRI colorizations of the cervical and thoracic spine with multiple injuries. 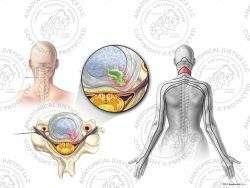 The cervical images depict bone spurs from C3-6, disc herniations from C4-7, and a healed displaced fracture of the C7 spinous process. 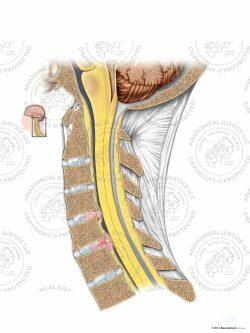 The thoracic images highlight healed compression fractures in the T6 and T7 vertebral bodies, with bulging discs at T6-8. The bulging disc at T7-8 is seen indenting the thecal sac.